This message originally came from the Berkeley PTA Council and has been approved for sending to the entire community by Principal Beth Rhine. If you plan to attend, please also be mindful about getting your student to school on time! Before work or school this Friday, November 18, from 7:00–8:00 am, please join in a community celebration of Berkeley’s shared values in Civic Center Park at 2100 M.L. King Jr. Way, to watch the sun rise and stand together. Breakfast provided; wear your best tie-dye! Mayor-elect Jesse Arreguín and other community leaders will address the crowd on the topics of unity, positive action and Berkeley’s hallowed tradition of counterculture. Let’s let all of our precious children, students and community members know that in Berkeley, we rededicate ourselves to a fair, progressive, inclusive and sustainable world. This is a celebration! In the wake of the national election, let’s join to reaffirm our deeply held values of inclusiveness, diversity, human rights, equity, environmental action, peace and love. 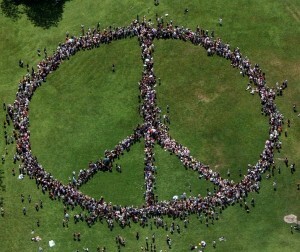 Take part in the creation of a giant human peace sign by standing together in the park as the sun rises. We invite all neighborhood organizations, faith communities, schools, organizations, and businesses to join in—all of Berkeley. Let’s show the rest of the country that we will forward our values with renewed energy, urgency and unity.